Flea protection for 7 months with unique break-away design. 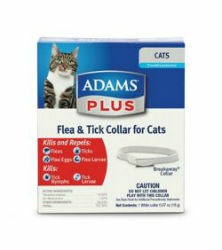 Kills fleas and ticks, including ticks that carry Lyme disease. Contains Precor®, an Insect Growth Regulator (IGR) that breaks the flea lifecycle.